Hello everyone & thanks for hosting last week, Rosemary! Have fun and start sharing!! I have a few from last week left. I did rework them this week. NICE work indeed, RM! You bring out the best in every client, i am convinced of it. She is beautiful but your extra touches really send this portrait over the top. And forget about the silly silhouette photo I posted...yours would make a better silhouette, lol. @tiff - nice work on the comps and framing with these parade pics. Also, more of your stunning fireworks. You could write the article on firework shooting now as you apparently nailed the technique. I don't think so Mike, but thanks. And thanks for your comments on the parade photos. RM: That is one gorgeous shot. and Jimbo checks in with some dazzlers! I love #2 "Ponds Edge", it is such a complete image, great framing, colors, light, gorgeous reflection, and the Jimbo touch. Nicely done. 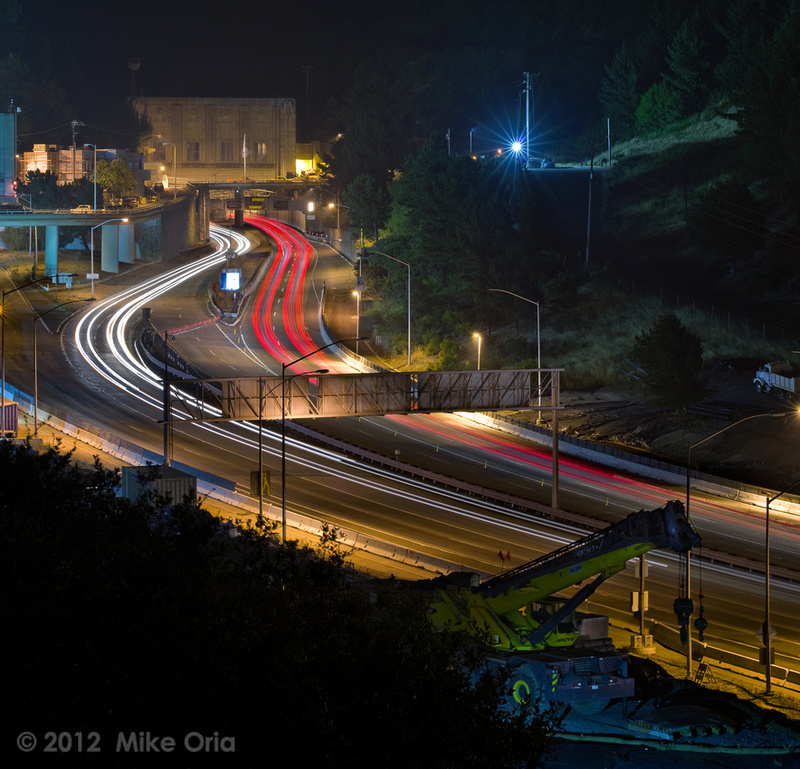 Matt got his new D7000 yesterday, so we made for the Caldecott Tunnel between Oakland and Orinda to shoot the construction of the 4th bore, begun in 2010 and expected to be completed at the end of 2013.
oh man, that is cool Jimbo! A whole new viewpoint is a wonderful thing.